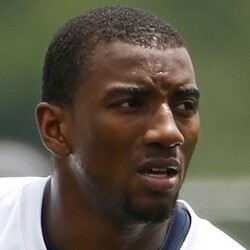 The New England Patriots released 2016 fourth-round wide receiver Malcolm Mitchell, who recently underwent a procedure on his ailing knee. Mitchell caught 32 balls for 401 yards and four touchdowns as a rookie but sat out the entire 2017 season after injuring his knee at the tail end of his rookie campaign. The Patriots were rumored to be shopping Mitchell but drew no interest. Clearly there are major concerns about that knee, as New England is thin at receiver and Mitchell flashed some big potential as a rookie. Just 25, Mitchell may eventually draw some interest as a free agent but he'll have to get fully healthy before that can happen. Only members of really deep dynasty leagues with ample IR spots should be holding onto Mitchell for fantasy purposes this season.